Mel Gibson’s Passion Movie – is it something for Christians to see? Or does it violate the Commands of God? See Why Nestorius is coming back from the dead again in modern Evangelicalism. Notation: Here are quotes, on a separate page, through the history of the church on idolatry and the second commandment – “Seeing Jesus”. Unless you have been living under a rock, it is impossible to miss the stir in the Christian community surrounding the movie “The Passion of the Christ” by Mel Gibson. There have been many evangelical leaders that have complimented Mr. Gibson on making this movie, and hearing from God to portray Christ in a visual manner. It is not the intention of this article to smear these men and women in their inept theological statements about the movie, rather, it is plea for them to repent of their sin in violating the commandments of God, along with all others who have seen the movie who have departed from historical orthodox tracing back over 1600 years. All of this is important because Evangelicals are lining up by the millions to see it, and it earned over 20 million dollars at the box office on its first weekend. It is a modern religious phenomenon, and it is grieving God. The following short article is directed to the evangelical community at large. For the Reformed Christian, this movie is simply another abomination in the sight of God in violating not only Holy Scripture (since the movie was not taken from a biblical account alone, but also in part from the 19th century diaries of St. Anne Catherine Emmerich, “The Mystical City of God” by St. Mary of Agreda) but also the first half of the second commandment which reads, “You shall not make for yourself a carved image, or any likeness of anything that is in heaven above, or that is in the earth beneath, or that is in the water under the earth…” (Exodus 20:4) Not only are evangelicals not keen enough to determine the importance behind changing the Scripture, or violating the second commandment which is reiterated all through the Old and the New Testaments, but they also seem to have a grave problem with their Christology (i.e. 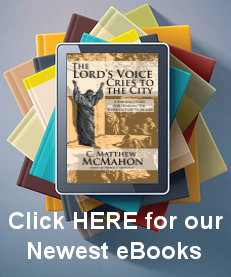 their conceptions of the Biblical doctrines that answer the question – “Who is Jesus?”). Evangelicals are not simply trampling on the historical orthodoxy of the Protestant Church when they see a movie like this that attempts to portray, in visual form, the man Christ, but they are precisely trampling on the last two-thousand years of Christology. They have become Nestorians without even realizing it. Solid biblical arguments abound in terms of not changing the Scriptural data, and not violating the second commandment. In order to appease those staunch Reformed brethren who may want an excursus on both those issues, touching on them may be appropriate for a paragraph or two, but that is not the necessary focus of this article, as the reader will see. Some comments, though, will be of help by way of a refresher. 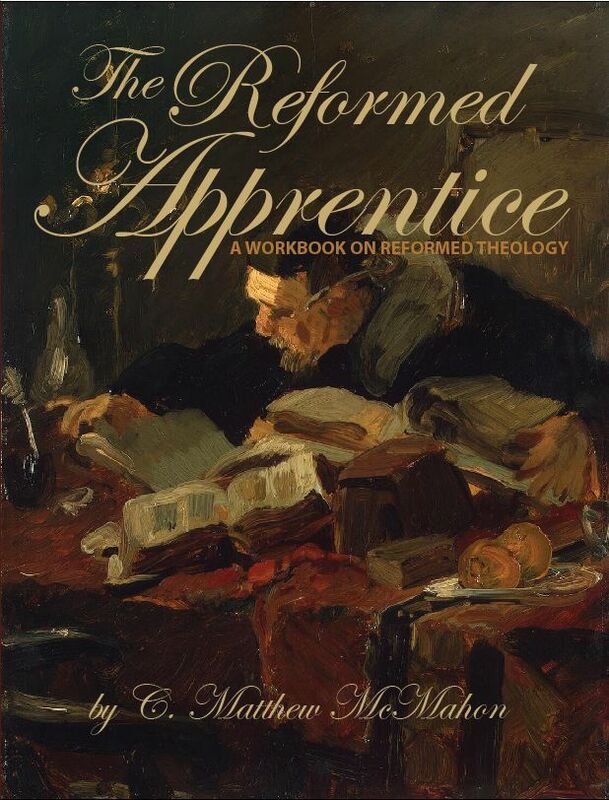 Now, for those who are Reformed, they are deeply aware of such confessions, and desire to uphold them, believing them to be solid biblical expositions of the Word of God. For those who are Reformed in name only, and desire to go to such events as “The Passion” or passion plays in general, they find ways to justify their beliefs, which will be observed in a moment. So to some, the information above is old hat that should be kept standing strong. 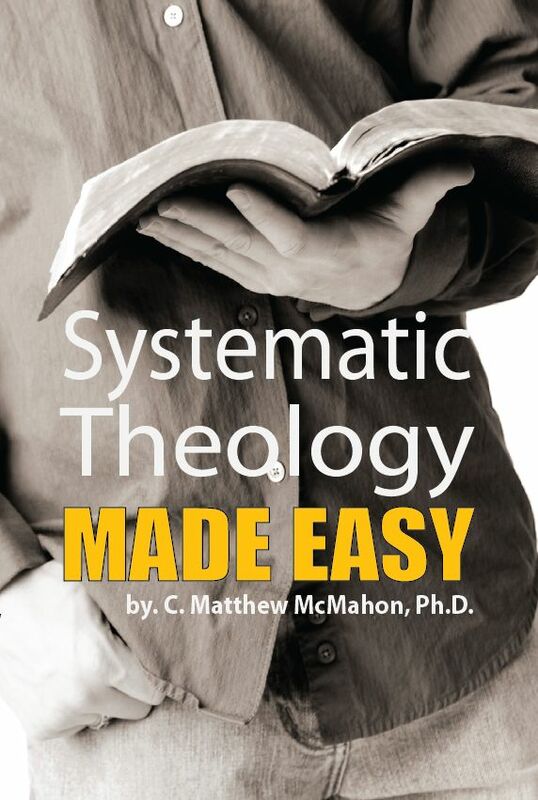 To others it is theological drivel that does not matter in today’s society. The Bible is very plain in terms of the Christians response to abhorring idols, and to uphold the proper worship of God. Evangelicals seem to have a tough time defining worship, which is simply having high thoughts about God. Christians worship is having high thoughts about God only when such worship is based on spirit and truth – something we think about and then have a reaction to (John 4:24). Christians think about Christ’s words, “I lay my life down for the sheep” and they have a positive reaction to it – they feel comforted. To utilize idolatry in having elevated thoughts about God is to engage in worship that is unsubstantiated and forbidden by God in the Scriptures. Deut. 4:11-19 states, “Then you came near and stood at the foot of the mountain, and the mountain burned with fire to the midst of heaven, with darkness, cloud, and thick darkness. “And the LORD spoke to you out of the midst of the fire. You heard the sound of the words, but saw no form; you only heard a voice. “So He declared to you His covenant which He commanded you to perform, the Ten Commandments; and He wrote them on two tablets of stone. “And the LORD commanded me at that time to teach you statutes and judgments, that you might observe them in the land which you cross over to possess. ” Take careful heed to yourselves, for you saw no form when the LORD spoke to you at Horeb out of the midst of the fire, “lest you act corruptly and make for yourselves a carved image in the form of any figure: the likeness of male or female, “the likeness of any animal that is on the earth or the likeness of any winged bird that flies in the air, “the likeness of anything that creeps on the ground or the likeness of any fish that is in the water beneath the earth. “And take heed, lest you lift your eyes to heaven, and when you see the sun, the moon, and the stars, all the host of heaven, you feel driven to worship them and serve them, which the LORD your God has given to all the peoples under the whole heaven as a heritage. “But the LORD has taken you and brought you out of the iron furnace, out of Egypt, to be His people, an inheritance, as you are this day.” Simple exegesis on the nature and attributes of God from this passage alone should silence the gainsayer on using idols or visual depictions of God in any form of worship, or high thoughts. Any thought a Christian may have about God is considered worship. To use idolatry as a means to have higher thoughts about God blatantly violates the second commandment. In the New Testament this is equally plain, as John says, “Little children, keep yourselves from idols. Amen (1 John 5:21).” That statement is not rocket science. Christians are to keep themselves from idols of all kinds and all shapes, whether they are material, visual depictions of God, or immaterial idols like greed, power or fame. When Paul demonstrates the wickedness of a heart that does not follow God, he emphasizes the idolatry of such people in Romans 1:22-23, “Professing to be wise, they became fools, and changed the glory of the incorruptible God into an image made like corruptible man — and birds and four-footed animals and creeping things.” In other words, wicked men are attracted to idolatry, but Christians should be repelled by it. Are they? Idolatry should cause Christians to run in the opposite direction. Christians should be as provoked as Paul was in his spirit when he entered Athens in terms of “idolatry” of any kind, “Now while Paul waited for them at Athens, his spirit was provoked within him when he saw that the city was given over to idols (Acts 17:16).” What does the average Christian think of the dove symbol on the back of their car, or pictures of Jesus in the local bookstore? Evangelicals today are given over to idols. They have doves and fish on the back of their cars, they have pictures of Jesus on posters and framed art, they wear “Christian” T-shirts that depict the crucifixion, and teach their children from “illustrated bibles” because it makes life easier with pictures of Jesus for the children to see. These are idols. Why? This is where we come to the focus of this article. “The Passion” movie, as other movies have done, depicts the person of Christ in his human nature. When Christians are faced with going to such events, they justify their attendance by saying, “Jesus was a man. Since he was a man, and we know what men look like, it is not wrong for us to go and see them depict the human side of the person of Christ. It is not a violation of the commandment. The commandment teaches us not to violate it by making images of God, which we cannot do because he is invisble and omnipresent. They are depicting a man in that movie.” They tread on thin ice when they say, “They are depicting a man in the movie,” because Christ was God. They begin their justification by making heretical statements, and the downward spiral just keeps going. Their immediate reaction is “But Jesus was human too.” This is the way they justify going to a Roman Catholic depiction of a twisted Gospel message. Is it a surprise, then, that the Passion Movie made 20 million dollars at the box office on opening weekend? Why would they bother? Why do they need to go? What prompts them to think the way they do? The reason Evangelicals are going to see “The Passion” movie is because they are Nestorians and they do not even know it. Their Christology is deviant, and they are not thinking about one of the most important doctrines in the Christian faith. It is enough to say that changing the Scriptures, or violating the second commandment is reason enough not to go to see movies like this, or buy paintings of “Jesus.” However, the real reason that lies behind the justification of modern evangelicals in this way surrounds their very poor theology on the person of Jesus Christ. Their theology is lacking in certain areas that cause them to fall into Nestorianism (a very grave heresy) without realizing they are doing so because they do not know how to think critically about important doctrines. First, who is Nestorius? Nestorius was born at Germanicia, in Syria Euphoratensis around 381 A.D. He died in the Thebaid, Egypt in 452. He was living as a priest and monk in the monastery of Euprepius when he was chosen by the Emperor Theodosius II to be Patriarch of Constantinople in succession to Sisinnius. He was consecrated to the post in April of 428. In the early part of 429 Nestorius preached the first of his “famous” sermons against the word Theotokos (Mary as “God bearer”), and detailed his Antiochian doctrine of the Incarnation. Eusebius, a layman, and two priests of the city, Philip and Proclus, preached against Nestorius. This caused a great stir at Constantinople. Celestine condemned the doctrine immediately. Nestorius had arranged with the emperor in the summer of 430 for the assembling of a council. However, at the council Nestorius was condemned as an arch-heretic. Secondly, what did Nestorius believe? Nestorius was a disciple of the school of Antioch, and his Christology was essentially that of Diodorus of Tarsus and Theodore of Mopsuestia. They taught in opposition to the Arians, who taught that in the Incarnation the Son of God assumed a human body in which His Divine Nature took the place of the soul, and to the followers of Apollinarius of Laodicea, who held that the Divine Nature supplied the functions of the higher or intellectual soul. The Antiochenes insisted upon the completeness of the humanity which the Word assumed meaning that the human nature must have a person. That meant that Christ was already a complete person before the Son of God ever joined Himself to that “other person.” This would mean that there were two persons and two natures which unwinds the entire doctrine of the incarnation and reduces it to some pagan mystery religion. Unfortunately, they represented this human nature as a complete man, and represented the Incarnation as the assumption of a man by the Word. It is not surprising to find that Diodorus admitted “two Sons”, and that Theodore practically made “two Christs.” Nestorius followed them in deeming the human person and the divine person as joined. “The Word and the Man are to be worshipped together,” say Nestorius, and he means that, “Through Him that bears I worship Him Who is borne.” This language is heretical. Nestorius believed that Jesus has two distinct natures that were inhabited by two distinct persons. This made Jesus a God-bearer, but not the God-man. In Nestorius’ mind, The Son of God attached Himself to a whole other man that was already self-independent. To say this is to damage the entire meaning behind the Word becoming flesh. Instead, this asserts that the Word made a union with a man that “in some way” became divine as a result of the union. But this would not make much sense since Adam’s nature would have affected Christ, then, as a regular human being, and that the Divine Son would have attached Himself to a son of Adam, instead of being the Second Adam, without sin, and perfect. It is the personality of the Son of God inhabiting the man Christ as a person that makes Him the Christ of the Bible. In dealing with current evangelicals, why is Nestorius brought up and why does this writer accuse them of holding to the Nestorian doctrine? It is rather simple. If an Evangelical were asked, “Should we make a golden calf as a representation of God and look at it as a symbol of God” they would undoubtedly say “of course not.” They would insist, “We ought to have no images at all of God. That is what the second commandment says.” But when they apply that command not to have images of God in terms of seeing Jesus Christ, they make a conscious separation between the humanity and divinity of Christ. On the movie screen the man Jesus Christ is being portrayed, and it has nothing to do with the invisible God of heaven who dwells in unapproachable light. That immortal, invisible, God in heaven is not what is being portrayed frame by frame. They say that they are simply looking at historical facts about Jesus Christ the man. Jesus was human after all, right? If one really takes the time to think through that, they will see it for the nonsense it is. It is Nestorianism all over again, just repackaged by Hollywood, and believed by ignorant Evangelicals who are not taking the time to study basic Christian doctrine. The ideas surrounding the Greek term prosopon (person) is what is giving Evangelicals the real trouble. For some reason people believe they can look at the humanity of Christ while separating the divinity of Christ’s personality from him – an impossibility. Evangelicals are not stupid, for they do not believe James Caviezel, the actor who is portraying Jesus Christ in the movie, has anything divine about him. Rather, the Evangelical who watches the movie is making that mental conception and leap (really a form of worship, “high thoughts” of God) about what they are seeing on the screen and what they understand about the divinity of the Son of God from the Bible. So they believe that they are safe in separating the two natures of Christ and portraying the human person and nature on the screen, and then making the mental leap to remind themselves that Jesus is divine as well. So in reality, they engage in a Christological heresy for a time that has been condemned by the church for 1600 years in order to watch a movie about Christ’s humanity separated from His divinity! The average Evangelical (and his pastor) needs to unravel his thinking. He is mixed up. 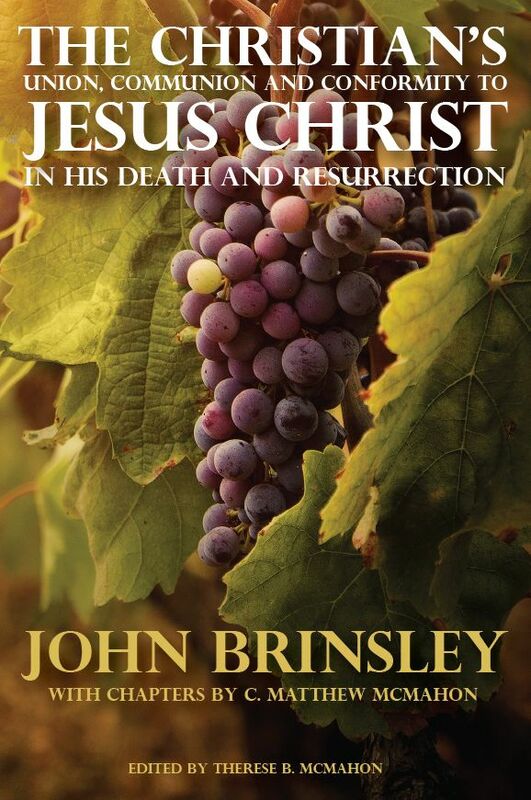 He does not have his Christology down biblically. If he did, he would see that depicting any image of Christ, or seeing Jesus in any form today, is sin. It is a violation of the second commandment. Simply, Jesus Christ is the God-man. He is not simply God. He is not simply man. He is both at once inseparably joined. His natures are attached but distinct. They are not mixed. He is hypostatically joined in those two natures. The divine nature “assumed” the human nature (i.e. attached the human nature to Himself). The divine nature never gave up being divine when it attached to the human nature, and the human nature was not swallowed up by the divine nature. They remained joined, but separate natures. Now here is the tricky part. The human nature does not contain a human person. If Christ was a human person and human nature attached to a divine person (The Son of God) and a divine nature, He would become schizophrenic. Rather, He is one person, the divine Son of God, that has attached to Himself a human nature. He is one person with two distinct natures. The second person of the Godhead is the animator or personality of the human Jesus. To say that Jesus has a human person and a divine person is to say the same thing that Nestorius said, and by which he was condemned as a heretic. Christ is one person, with two natures. (Repeat and memorize that!) Here is an official statement against the Nestorian heresy that states this: Christ is “recognized in two natures, without confusion, without change, without division, without separation; the distinction of natures being in no way annulled by the union, but rather the characteristics of each nature being preserved and coming together to form one person and subsistence, not as parted or separated into two persons, but one and the same Son and Only-begotten God the Word, Lord Jesus Christ (The Chalcedonian Creed, 451 A.D.).” Keep that clear: two natures, one person. It is important that this is tangible to the reader. How does this change the reality that the portrayal on the movie screen is really a violation of the second commandment to visualize the eternal God when His human nature is being portrayed? It is impossible that the divine nature be separated from the human nature, and that the divine person be separated from the human nature. It is the divine personality of the Son that gives personality to the human nature. Certainly in this way the human nature makes limitations on knowledge, feelings and the like. Even though the Son of God in his divine nature is everywhere present, Christ in His human nature is present in one place at one time. To explain in terms of a simple illustration would be helpful. A person may take their hand and dial the phone. They press buttons for a certain number, and they pick up the receiver and talk to the party on the other end. This person is able to do it unrestricted and easily. Now imagine that they put on one of those giant fluffy mittens that are worn when the weather drops forty degrees below zero. The hand is encased in the mitten. The mitten, if left to itself does absolutely nothing. But once the hand fills the mitten, it can move it around. The hand has not changed and the mitten has not changed. The mitten and hand are simply joined in the union. The hand has not ceased to be a hand at all. It simply animates the mitten. When the hand wearing the mitten tries to dial the push button phone, it has quite a bit of trouble. It’s the same hand, but it simply uses another vehicle to accomplish a task. It makes dialing the phone hard, but that does not mean the hand itself is somehow changed. In the same way the human nature is animated by the divine personality. The divine person does not change, it simply fills the human nature to its capacity and works with it as best He can. This divine Son, then, becomes the human personality of the Christ, and animates the human nature. Thus, to say that the human nature could be depicted in ANY WAY apart from the eternal, invisible, immortal nature of the divine Godhead, is to make a serious Christological blunder. Christ is the God-man and His natures cannot be separated at all or for any reason. Once the artist’s brush attempts to depict Christ, he has immediately debased the personality of the Son of God. He cannot in any way, attempt to capture any aspect of the divine person. Paintings, pictures, posters or movies will never be able to depict the Christ. God is wiser than all, and He has determined to accommodate to our understanding through the Word of God and the sacraments alone. There is no other objective way of depicting the personality of the Son than in the Word and sacraments. This Christological idea is exactly what Evangelicals are having a problem with, or simply not thinking about at all. If they did think through this, they would immediately abandon the movie theater and the Christian bookstores that tote the graven images of God. Will they now think such things are repugnant? Or with them succumb to the heresy? Thinking through all that was not very hard and was hopefully clear. But now, with this basic information, Evangelicals need to straighten out their theology. They need to rethink their Christology and rescue it from the ignorance of Nestorius. Nestorius has come back from the dead, again, and Evangelicals are eating up his theology as if it was sound orthodoxy. Is ignorance bliss? Not in God’s eyes. The only way they can self-justify breaking the commandments of God in visually depicting Christ in any way whatsoever is to become part-time Nestorians. That is exactly what well-meaning Christians are when they succumb to this kind of sly devilish twist in their Christological ideas. They need to repent, seek the forgiveness of God and reject such things in the future as abominable sins. God is pleased when Christians keep themselves from idols. Amen. Lord’s Day 35. The Heidelberg Catechism was divided into Lord’s Day teaching for easy grouping and teaching ease.